Itemwarehouse owned by Cassiar Asbestos Corporation Ltd. Item - warehouse owned by Cassiar Asbestos Corporation Ltd.
warehouse owned by Cassiar Asbestos Corporation Ltd. 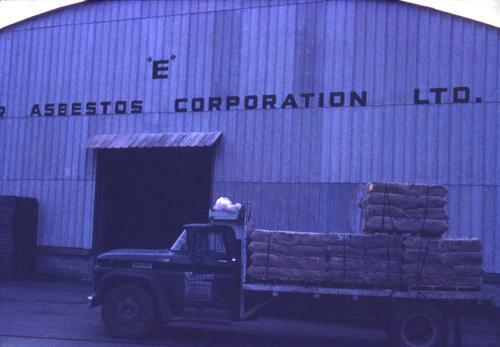 Photograph depicts a truck carrying pallets of asbestos in front of the Cassiar Asbestos Corporation warehouse.